David Kornbluh has more than 25 years of business litigation and trial experience with a primary emphasis on employment, business, real estate and land lord-tenant disputes.  He regularly represents clients throughout California in complex litigation, and employers facing allegations of age, race, gender and disability discrimination; sexual harassment; wrongful termination; wage and hour violations; and unfair business practices. David’s practice also includes representing clients in contracts, partnership, landlord-tenant, real estate and Americans with Disabilities Act (ADA) litigation. David has extensive trial experience, representing clients in various state and federal courts, as well as before the California Department of Labor, the California Department of Fair Employment and Housing (DFEH), the Equal Employment Opportunity Commission (EEOC), the Workers Compensation Appeals Board, and other administrative agencies. He has also represented clients in the 9th Circuit Court of Appeals and California Appellate Courts. Obtained summary judgment for an employer in a disability discrimination lawsuit in the United States District Court for the Northern District of California in San Francisco. Won a 2.2 million dollar jury verdict and judgment on a Cross Complaint for Unfair Business Practices and Defamation. Obtained a number of favorable jury verdicts in business litigation involving claims of breach of contract and commercial Landlord tenant disputes. Defeated a nationwide class action claim alleging unfair business practices by having the case dismissed at the pleadings stage. The trial court’s judgment was subsequently upheld on appeal. Defended and resolved multiple class action wage and hour cases in state and federal courts. Successfully resolved sexual harassment and discrimination claims against clients through mediation.